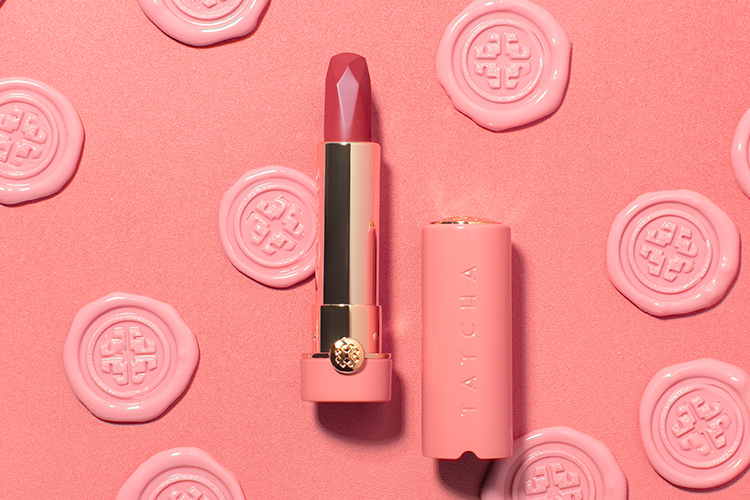 A limited edition lipstick in a rich rosy hue with a demi-matte finish that kisses lips with youthful color. Silk extracts nourish and hydrate lips, while 23-karat gold adds a touch of glamour. size : 3.7 G | 0.1 OZ. If you take a walk through a Japanese garden, your eye will quickly be drawn to the magnolia blossom. The flower is striking in every stage of its life, showcasing a boldly colored gradient in each broad, silky bloom. In hanakotoba, the Japanese language of flowers, the magnolia signifies a love of nature; each magnolia petal even appears to sing, rejoicing in the season! The flower’s radiant hue and its connection to the intoxicating beauty of nature are brought to life in this versatile color through our Magnolia Bloom Silk Lipstick. Magnolia Bloom Silk Lipstick is rated 4.4 out of 5 by 16. Rated 5 out of 5 by Jenn from Beautiful Color and Texture I wish I could give this lipstick more than 5 stars because it's wonderful. I have fair skin with pink undertones. I love, love, love the color...It's absolutely beautiful. Please keep this color forever. I think it would look great on all skin tones. The texture is creamy and silky.....so luscious. The packaging is beyond gorgeous (a beautiful pink, full metal tube). I wish there was a matching liner and lip gloss to go with it...hint, hint. I admit that it is expensive for a lipstick...and it would be great if it was offered in a bundle with other products...like with a liner and lip gloss please. Rated 2 out of 5 by Alice from The color doesn't match the pictures The color does not match the color in the picture. It’s a much more purple and berry like color. I expect more of a red, rosy or ruby color. But it’s really a kind of mauve shade. I ordered it right away when I saw the pictures, I tried it under all kinds of lighting conditions. And this is not a very cheap product so I expected to at least get the shade I expected. My original lip color is a little bit deep so I don't know if it has something to do with the outcome. The formula is good. But the color is just not what the photos showed. Rated 4 out of 5 by Nivine from Nice lipstick but... To be fair, this is a nice lipstick. It does not appear to look like it does on the website. I am guessing it is because the models in the pictures are wearing one of the lip balms on top of it? I say this because this lipstick is actually more on the matte side. It is weightless on the lips, and does not leave heavy imprints on cups when you drink. However, on the models the lipstick does seem to be ‘glossier’ and ‘redder’ than real life. The actual lipstick is less iridescent less warm. If you like cooler tone pinks with s hint of purple, then this is for you. I do have the Kyoto red lipstick, and I am happier with that one than this color, as I like ‘spicier’ tones, and in my opinion, the Kyoto Red is more hydrating. I’m giving it four stars because it is high quality with great ingredients, just not quite right for me. Rated 5 out of 5 by AnnaMaria from Love this lipstick! Flattering shade. I love this lipstick. It's my favorite shade of the Tatcha lipsticks. I am cool toned and very fair, but I see this working well for a lot of skin tones. 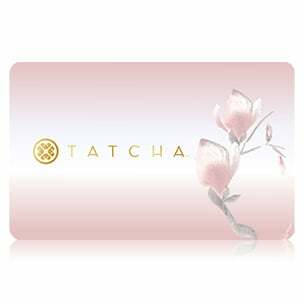 Same great Tatcha formula, long lasting and not drying. Rated 5 out of 5 by Heather 23 from Beautiful,creamy color I just received this today and I really like it. I especially think I will like it as warmer weather hits. It is a nice shade, not quite red, not really coral. I don’t feel like red works for me so I was excited to see this new lipstick. It’s a really complementary color to my skin tone. I can see switching to this shade for a lot of the year since we have such warm weather in AZ. I think it will complement a tan or a fake tan nicely. The formula is the creamy, long wearing, high quality Tatcha lipstick I am used to in the other colors. I now own all the lipstick colors except the red. My favorite is likely the cherry blossom, as I don’t always want a lot of color. I have a more neutral skin tone and that may be why it works well for me. 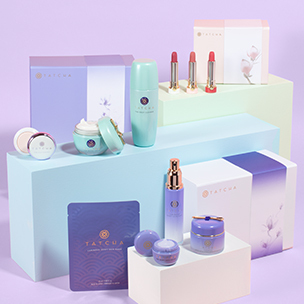 The tube and packaging is superb, like all Tatcha products. I especially like how these lipsticks lock closed. Great job again Tatcha! Rated 5 out of 5 by Georgia from Beautiful rich color! I got this today and I love it! The color is a perfect blend for a " go with everything " lipstick. It feels moist and is long wearing. It is certainly a beautiful addition to the collection! Rated 5 out of 5 by Becky from Perfect formula I just bought this and wore for the first time to work. The demi-matte formula is just right. It doesn't dry my lips like most demi-matte or matte lipsticks I have tried. It stayed on until I ate lunch, and even then only a little come off as I wiped my mouth. Very little touch up. The hue is beautiful!! And oh my..the beautiful packaging!!! Rated 1 out of 5 by Kenn from Never not liked a tatcha product.. Until this lipstick. The color is not like the pictures at all. Not to mention, the lipstick cracked in half while I was putting it on! Kind of upsetting when you spend $55 on a lipstick. This stunning color looks satiny on the models. Is it a true semi-matte finish? Thank you for your question! This formula is a demi-matte finish that feels hydrating on lips with 23 K gold added to create depth without looking shimmery. We hope this helps! Is the magnolia lipstick good on fair skin? Yes! We created this lip color to look lovely on all shades of beautiful including fair skin. We hope this helps! Is this lipstick the same texture and feel as the Kyoto Red? Thank you for your question! This new lipstick is a demi-matte texture that is creamy and hydrating. The addition of 23K gold gives the color greater dimension without looking shimmery. We hope this helps!